There are various definitions given of a Christian. The only one that is worthwhile is God’s definition. The only kind of Christian worthwhile is the one as defined by God. The reason for saying this is God’s definition of a Christian is because of the meaning of chrematizo, translated “called.” It is not a nickname, claimed by some. “And it was in Antioch that the disciples first received the name Christian.” Weymouth). The Greek word rendered called implies a divine source. It is “to be divinely instructed, to receive a warning or revelation from God” (Green’s Greek-English Lexicon). “To give a response to those consulting an oracle, to give divine command or admonition, to teach from heaven; to be divinely commanded, admonished, instructed; to be the mouth-piece of divine revelations, to promulgate the commands God” (Thayer). Why was not this name given at Pentecost? We may not know, but I can think of a reason. Christian is the sum of Christianity. Christianity is not Jewish, not peculiar to Jews. 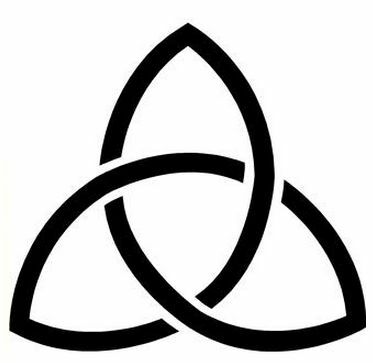 This is implied in the very fact that the term that most describes Christianity was not given until Gentiles were brought in. Thus, those who think of Christianity offering something yet for Jews in a special way have not properly understood Christianity. A Christian is one who heard the Gospel and believed it (Acts 11:19-21). Why were there no Christians in Antioch prior to this time? There were not any that had heard the Gospel and believe A Christian is one that assembles (Acts 11:26; Heb. 10:25; Acts 2:42). The Christians at Antioch assembled. The Christians in every place assemble. A Christian is one that accepts responsibility (Acts 11:29). Note the words – every man – determined – according to his ability. They did not seek to do as little as they could but as much as they could. Many seem to think today that a Christian is one who does as little as he can. A Christian does not shirk responsibility. A Christian is one in the Lord’s church (Acts 11:26). There were no Christians in Antioch that were not members of the church. There were no Christians in Antioch that were members of any other church. “I give in mine house and within my walls…a name” (Isa. 56:5). 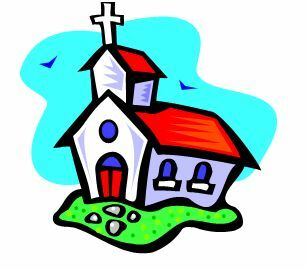 The church is God’s house (1 Tim. 3:15; Acts 2:42; Gal. 3:26-27). The question is: are you a Christian defined by God? 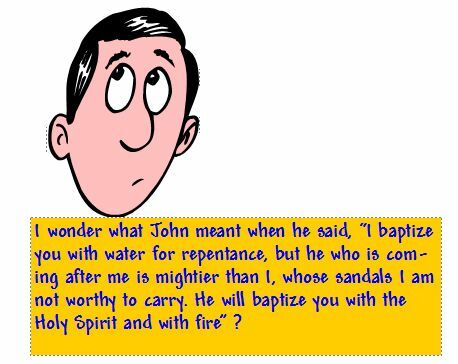 What About This Holy Spirit Baptism? The Holiness Movement that has evolved from the Methodist religion have certainly muddied the scriptural waters when it comes to baptism especially Holy Spirit baptism. 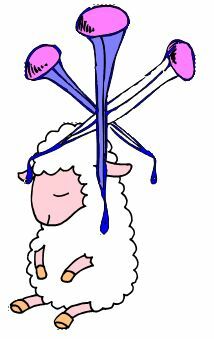 Their perversion of Matthew 3:11 is a prime example. So, what did John the Baptist mean by what he stated in this verse. I believe Michael Hatcher’s sermon puts it all into perspective. The following is a chart of information concerning the New Testament church as described in the scriptures. It was constructed by Charles Burke, gospel preacher in Bisbee, Arizona. It is an excellent teaching tool for use in teaching the establishment and organization of the Lord’s church. Let us pray that as we consider the above scriptures relating to the church of our Lord, we will always remember that we (the church – Ephesians 5:23, 30) are “a chosen generation, a royal priesthood, an holy nation, a peculiar people (marginal reading – or a purchased people); that ye should shew forth the praises of him who hath called you out of darkness into his marvellous light” (1 Peter 2:9). Many in “Christianity” believe the Holy Spirit personally “indwells” them after having been adopted by God through faith. They take this position after having read various passages in the New Testament such as Acts 2:38 where a promises is made to “receive the gift of the Holy Spirit” or perhaps Romans 8:11 “He who raised Christ Jesus from the dead will also give life to your mortal bodies through His Spirit who indwells you”. I submit to you that the many are deluded. For instance, the use of Romans 8 to support their argument is flawed for the reason that Paul is continuing his argument from Chapter 7 that the Law of Moses is dead, having no jurisdiction over mankind anymore. 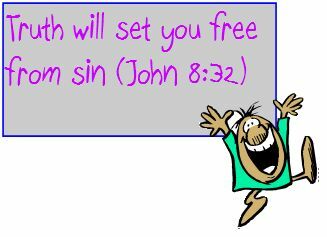 Stated very clearly he says: “For the law of the Spirit of life has set you free in Christ Jesus from the law of sin and death” (Romans 8:2). The “Spirit of life” is a metaphor for the gospel message; the “law of sin and death” is a metaphor for the Law of Moses. The Law of Moses could not and was not designed to set men free from sin, for as the Hebrews writer put it: “For it is impossible for the blood of bulls and goats to take away sins” (Hebrews 10:4). The blood sacrifices of the Law of Moses were for the Israel’s “sin and death” but from the Day of Pentecost in Acts 2 it is the gospel word that sets men free from sin through the blood sacrifice of Jesus Christ upon the cross, for the gospel is the “…implanted word, which is able to save your souls” (James 1:21). No wonder then John the Baptist cried out speaking metaphorically of Him, “Behold, the Lamb of God, who takes away the sin of the world!” (John1:29). Just how does the Holy Spirit lead a person in this present age? Many mistakenly think that their own subjective feelings are the supernatural action of the Holy Spirit. If this were so, how would a person distinguish between his natural inner feelings and those brought on supernaturally? Solomon warns, “He that trusteth in his own heart is a fool: but whoso walketh wisely, he shall be delivered” (Prov. 28:26). Again, “There is a way that seemeth right unto a man; but the end thereof are the ways of death” (Prov. 16:25). These two passages reveal that our inner feelings are not a reliable source in determining right from wrong. This is especially true in respect to morals, and learning what the Lord would have us to do. Our outlook on life philosophically is determined by how we were raised, experiences in life, knowledge obtained by observation and by what we were taught. From these sources we develop a philosophy to guide us in life. This internal understanding of right and wrong may not coincide with the inspired Word of God. That’s the reason different people who think their inner feelings mean they are guided by the Holy Spirit arrive at opposite concepts from each other and from what the Bible actually teaches. These conflicting claims of being guided by the Holy Spirit cannot be blamed upon the Lord. The Apostle Paul informs us that, “… God is not the author of confusion…” (1 Cor. 14:33). In reality, how does the third person in the Godhead communicate unto mankind? From the beginning of time Divine messages were always delivered in a language understood by the recipients of those messages. A person has never received communication from Heaven by way of his inner feeling. How did Adam and Eve come to knowledge of the will of God for them in the Garden of Eden? It was by words. “And the Lord God commanded the man, saying, Of every tree of the garden thou mayest freely eat: but, of the tree of the knowledge of good and evil, thou shalt not eat of it: for in the day that thou eatest thereof thou shalt surely die” (Gen. 2:16-17). Several passages of scripture reveal that the Holy Spirit used words to communicate. David declared, “The spirit of the Lord spake by me, and his word was in my tongue” (2 Sam. 23:2). The Apostle Peter said, “Men and brethren, this scripture must needs have been fulfilled, which the Holy Ghost by the mouth of David spake before concerning Judas, which was guide to them that took Jesus” (Acts 1:16). The Apostle Paul wrote, “Now the Spirit speaketh expressly, that in the latter times some shall depart from the faith…” (1 Tim. 4:1). The Holy Spirit did not communicate heavenly messages to every person, but rather inspired certain men as spokesmen. Moses received the Decalogue for the children of Israel at Mount Sinai. The Apostle John pointed out that “…the law was given by Moses, but grace and truth came by Jesus Christ” (John 1:17). During the Mosaic dispensation God chose certain men as prophets to deliver His Word to the Israelites. The Apostle Peter, in referring to the writers of the Old Testament, said, “…holy men of God spake as they were moved by the Holy Ghost” (2 Pet. 1:21). At Hebrews 1:1, the scripture states, “God, who at sundry times and in divers manners spake in time past unto the fathers by the prophets.“ For the New Testament dispensation Jesus Christ promised to send the Holy Spirit unto the apostles to guide them unto all truth (John 14:26; 16:13). Not only did the apostles and the New Testament prophets speak by inspiration, but they also wrote as guided unto all truth (2 Tim. 3:16-17). At First Corinthians 2:10-13, the Apostle Paul pointed out that the very words he wrote were the words of the Holy Spirit. The days of miracles and receiving messages from heaven supernaturally ceased at the close of the first century (1 Cor. 13:8-10; Jude 3; Rev. 22:18-19). 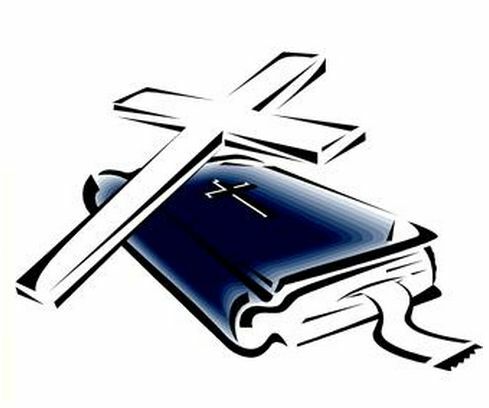 The Bible is the complete revelation of the Heavenly Father for mankind’s eternal redemption. Those who claim to be led directly by the Holy Spirit today are either deceived or false prophets (Matt. 7:15; 1 John 4:1). NOTE: Dub Mowery preaches for the Pittsburg church of Christ, Pittsburg, Texas. His preaching experience began in March of 1955; forty-eight of those years have been full time.